Areas: Bedford, Mid-Cities, Dallas & Fort Worth and surrounding areas. Specialty: Alimony, Child Custody, Child Support, Divorce, Domestic Violence, Mediation, Modification. 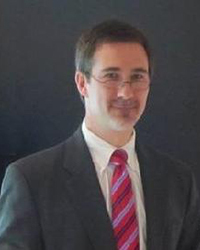 Attorney John S Smotherman is a graduate of Baylor University and Baylor School Of Law. He was licensed to practice law in Texas in 1991. His practice has been devoted almost exclusively to family law. John has been trained and served as a mediator, and has also served as a visiting judge. His oldest son is attending Baylor, and John lives with his wife and youngest son in Bedford, Texas. While attending Baylor, John served as a youth minister at Meridian United Methodist church. John is also an active member in, and supporter of, the consciousness movement and has written a book on the subject. John graduated from Baylor University in 1989 with an undergraduate degree in Management and Real Estate. He earned his Juris Doctorate from Baylor School of Law in February of 1990. His legal practice has been heavily focused on family litigation. As a father and divorcee, John has the professional and personal perspective to understand the challenges and rigors of divorce. While attending Baylor, John served as the Youth Minister for the First United Methodist Church of Meridian. During his legal career, while handling numerous family law matters from simple agreed divorces to complex custody litigation, John also served as a Mediator, a Court appointed Attorney Ad Litem/Amicus Attorney for children, and as a visiting Associate Judge for the 254th Judicial District Court in Dallas County. John has also served as Adjunct Professor Of Government at Tarrant County College.